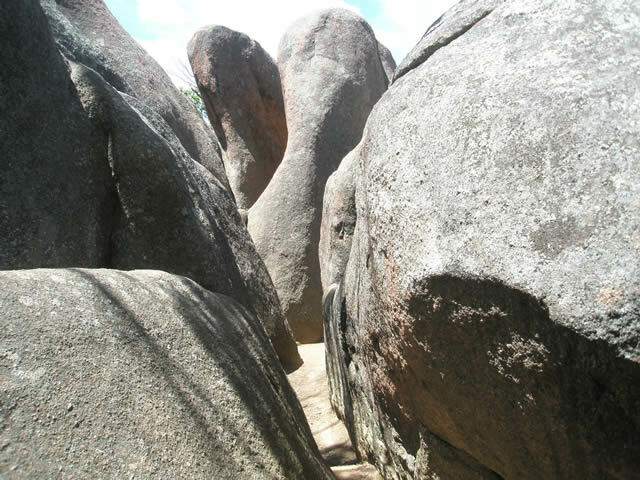 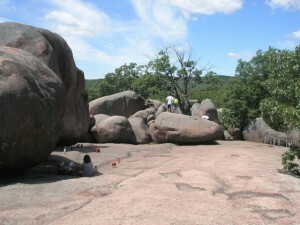 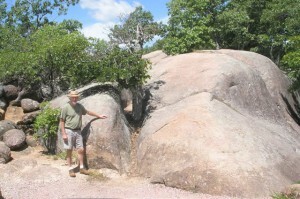 Giant granite boulders on top of a high hill invite visitors to weave around them and even climb on them. More info. 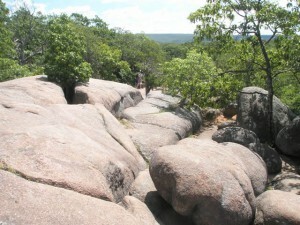 Some of the paths are accessible with Braille interpretive markers. Other paths are a challenge. 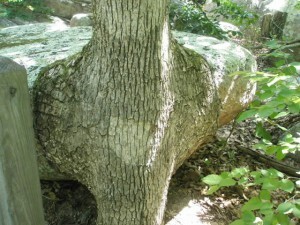 This tree seems to be hugging the granite boulder.